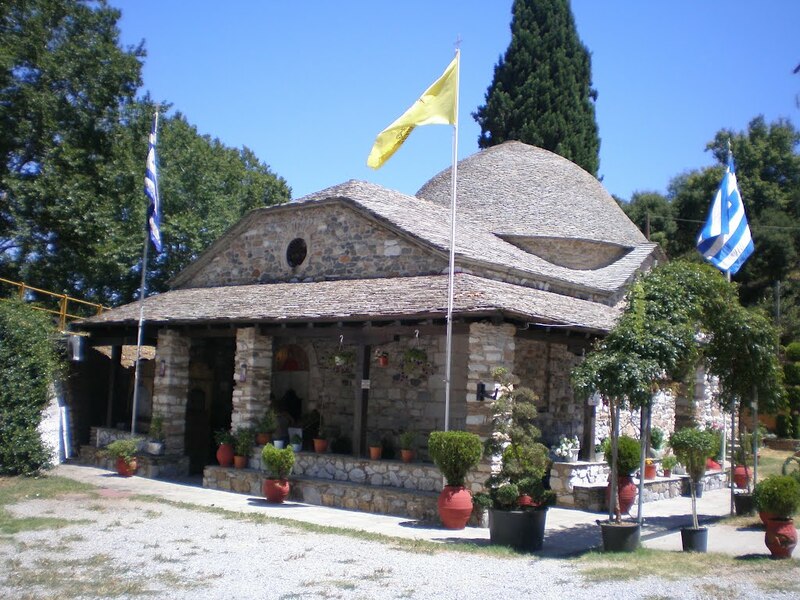 On her return to Greece and to her native Drama, before reaching her home, she stopped in the village of Modi in Thessaloniki, where she fulfilled a vow by stopping at the Chapel of Saint Marina, and venerated her icon in thanksgiving for her win. Then she arrived in her native Drama, where she was welcomed with much celebration. The Chapel of Saint Marina in Modi was built in the 18th century. As is told by locals, the priest of the village named Themelis had a vineyard nearby, and in a dream Saint Marina appeared to him and told him to find an icon of hers that was placed in the hollow of a tree, and to build a church to house the icon. Because the original icon was stolen in the past from the chapel and returned, it is now located in the Church of the Holy Trinity in Modi. Many miracles are attributed to this icon.